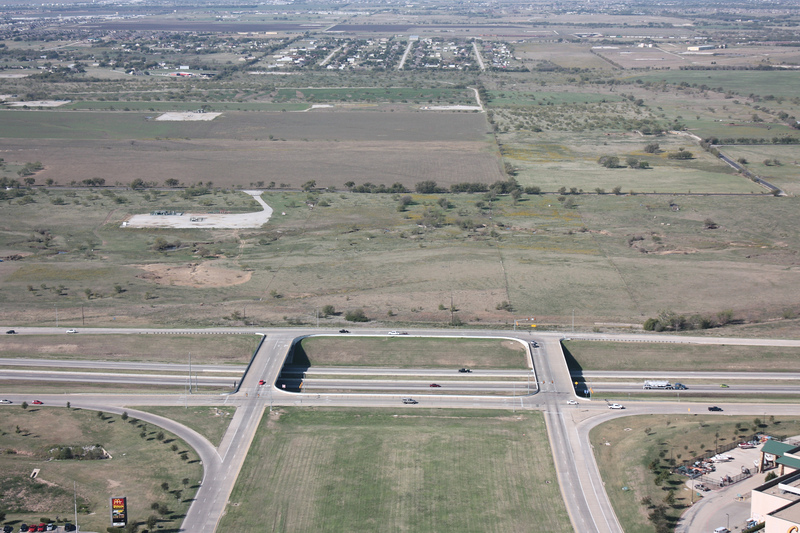 The SH 170 frontage roads opened in 1992. 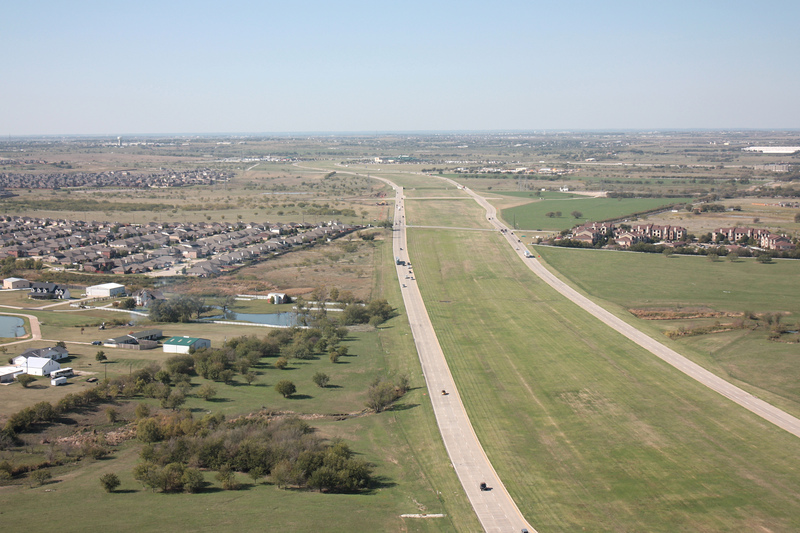 The main lanes were originally planned to be tolled, but the toll status is unclear in 2018. 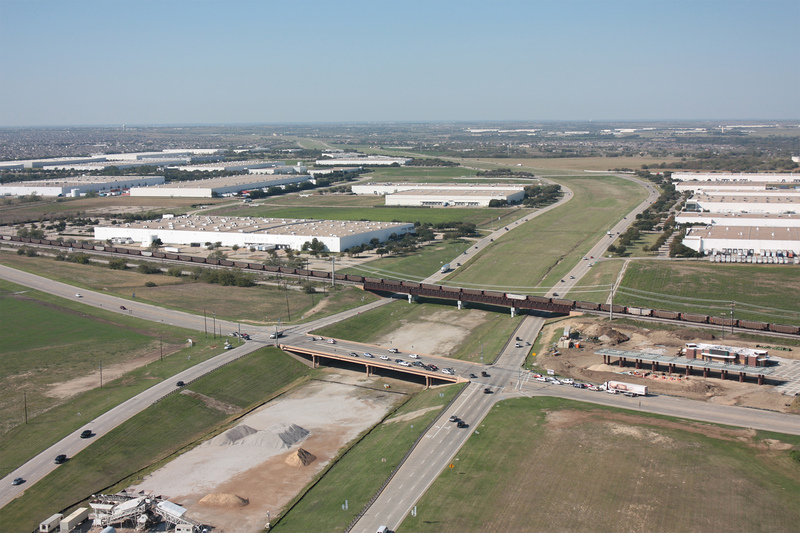 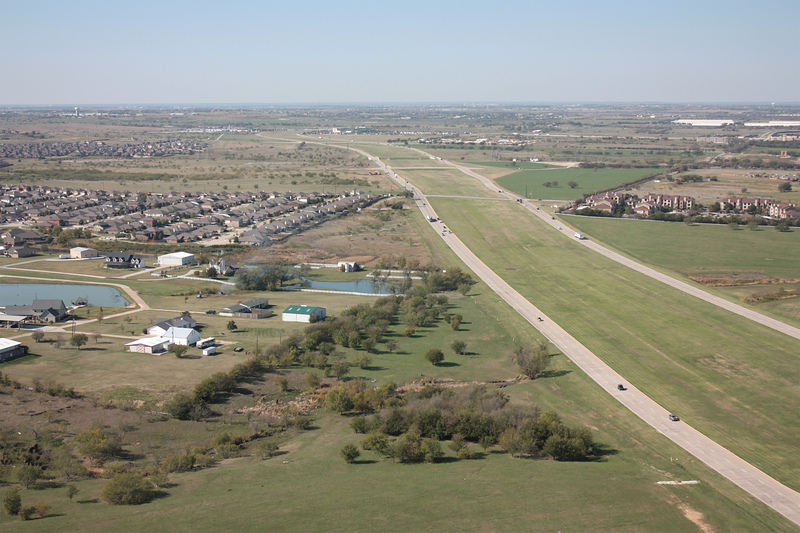 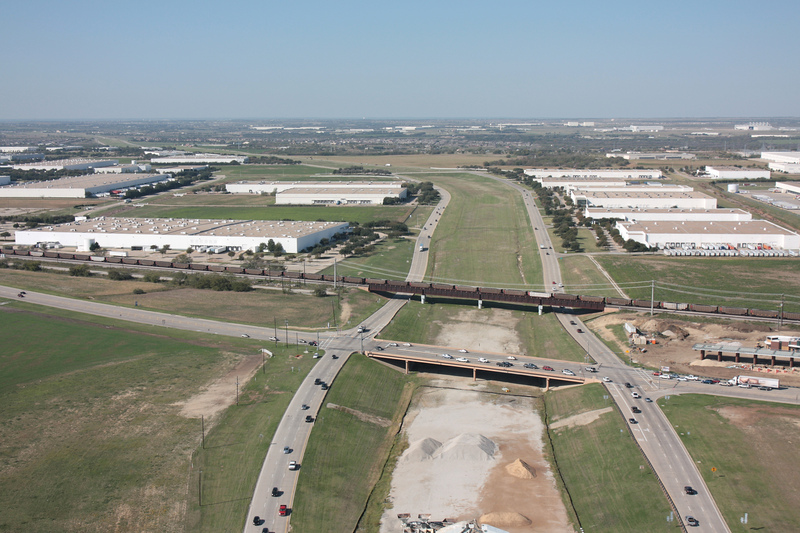 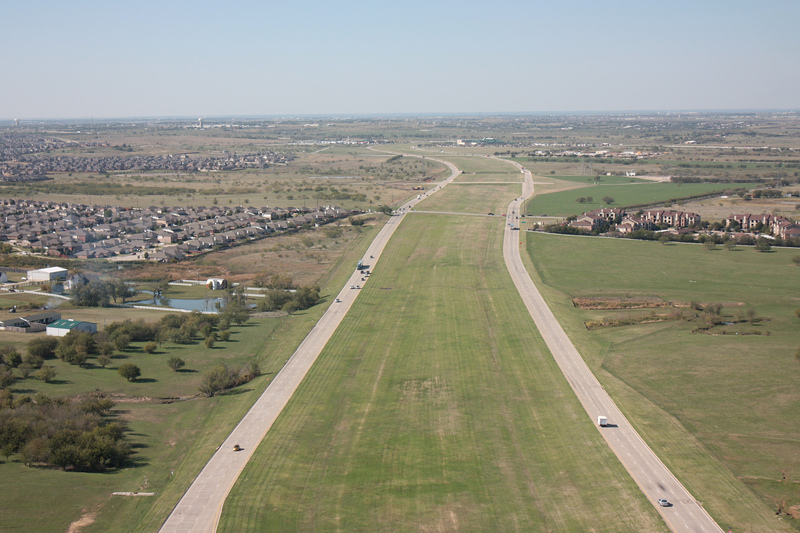 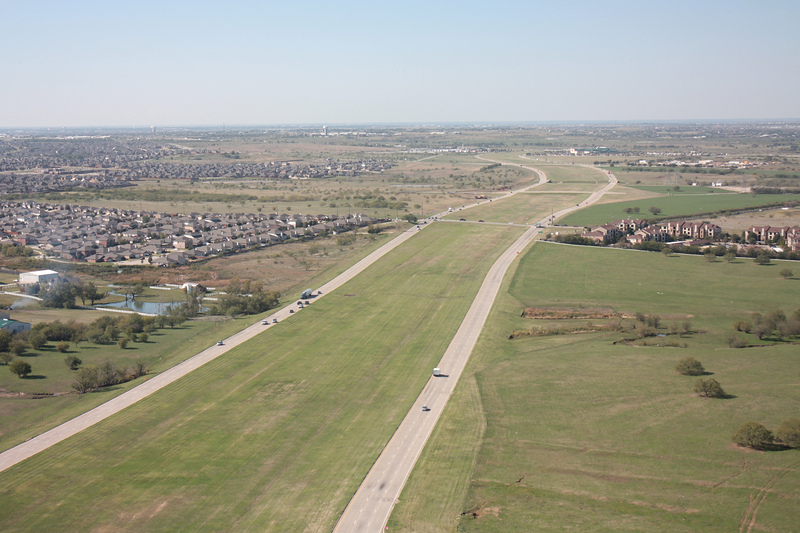 In 2018 a new overpass opened on the east end near SH 114, but the rest of the corridor (including all views shown in the photos) remains unchanged since these photos were taken.